Previously, I criticized the Harper Government for failing to protect public interests affected by the RCMP. The police organization has been dysfunctional for years and will remain so indefinitely because no fundamental problem is addressed. Public Safety Minister Peter Van Loan is nominally in charge but he is just one more name in the long list of people purported to exercise control over the once iconic police force. For the four years leading up to his removal, Civilian Review and Complaints Commission Chair Paul Kennedy pleaded for changes to enable effective review of the RCMP. The CRCC never had funding to achieve its modest goals and, lacking legislated authority, it was totally dependent on voluntary cooperation from the police. 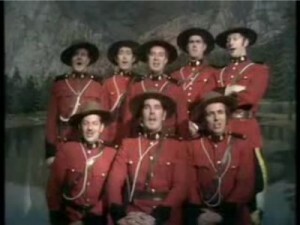 The RCMP demonstrated repeatedly that it would not collaborate sincerely. Ontario Associate Chief Justice Dennis O’Connor, head of the Arar Inquiry, said in 2006 that the CRCC should be given real teeth for its watchdog role. He recommended that include the right to examine all RCMP files and activities, and the power to subpoena related documents and compel testimony from any person or agency. After O’Connor’s report on the Maher Arar disgrace, Supreme Court Justice Frank Iacobucci, examining the brutal treatment of three other men in Syria and Egypt, found RCMP actions contributed to their mistreatment and torture. Two parliamentary committees and other experts also advised about the need to improve oversight of the federal police. We need fundamental cultural, structural and governance changes throughout the RCMP. [It] is completely at odds with the reality of running a $3-billion enterprise. In summer 2009, Peter Van Loan said the government was not prepared to proceed with any legislative changes and would wait for the final report of John Major who began his inquiry into the Air India bombing in 2006. No date has been set for publication of Major’s final report. Delaying for one more inquiry commission is a feeble excuse. That is like waiting for another repairman’s diagnosis after five mechanics found the vehicle unsafe at any speed. There are no opposing forces preventing changes to Canada’s federal police. Exactly no one outside of RCMP management believes the police force is adequately structured and commanded. Yet, the Conservative government is paralyzed by fear of change. This is impossible to justify or explain. May 15/09 (Day 93) – Saxton responds by email, saying he forwarded the message to Justice Minister Nicholson for response. Jun 22/09 (Day 131) – Justice Ministerial Correspondence Unit responds, saying they forwarded the message to Public Safety Minister Peter Van Loan for response. Jul 28/09 (Day 167) – The RCMP’s Ottawa Correspondence Unit emails to ask for Farrell’s complete address so a response could be mailed by the Public Safety Minister. Jan 12/10 (Day 335) – A letter from Peter Van Loan arrives. It is entirely unresponsive to the issues raised in the initial correspondence, almost one year ago. The homicide of Dziekanski was appalling. The RCMP’s failure to admit quickly to their tactical blunders and resulting responsibility for this man’s death was inexcusable. The RCMP’s efforts to smear the victim – including sending investigators to Poland seeking dirt – was a considered outrage by the highest levels of that police force. The decision by officials to have the people of Canada pay lawyers to defend the indefensible by slandering witnesses and inventing scenarios is something that should result in wholesale changes to RCMP administration. It is not enough to charge and convict the four killers with manslaughter. We should demand removal of every RCMP official that aided and continues to assist the evasion of proper responsibility. Thank you for your recent e-mail regarding the tragic death of Mr. Dziekanski. I have taken the liberty of forwarding a copy of your correspondence to my colleague, the Honourable Rob Nicholson, Minister of Justice for his information and review. I appreciate you making me aware of your concerns on this important issue. On behalf of the Honourable Rob Nicholson, Minister of Justice and Attorney General of Canada, I acknowledge receipt of your correspondence concerning the actions of the RCMP in the tragic case of Mr. Robert Dziekanski, which was forwarded by your Member of Parliament, Mr. Andrew Saxton. I regret the delay in responding. The RCMP is an agency that falls within the purview of the Honourable Peter Van Loan, Minister of Public Safety. I have therefore taken the liberty of forwarding a copy of your correspondence to Minister Van Loan for his information and consideration. The Office of the Hon. Rob Nicholson has forwarded to Minister Van Loan your email concerning Mr. Robert Dziekanski. All of Minister Van Loan’s correspondence is responded to via regular mail. As a result, we would ask that you please provide us with your mailing address, complete with postal code, so that we might finalize a reply to your email inquiry of May 19, 2009 for Minister Van Loan’s signature. Thank you in advance for your cooperation in this regard. The office of the Honourable Rob Nicholson, Minister of Justice and Attorney General of Canada, has forwarded to me your correspondence concerning the death of Robert Dziekanski and the use of the conducted energy weapon by the police in Canada.
. . . blah, blah, blah . . . I appreciate you bringing your concerns on this important issue to my attention. Real interesting how they say they want your adress so they can reply in writing Norm. Then they reply by e-mail. Upon receiving the response it was adressed to me in my full name including the correct spelling of my middle name. So to me there is absolutely no truth coming from this government when they say they don't look into people who email them. But of course we know there is no truth coming from them anyway.